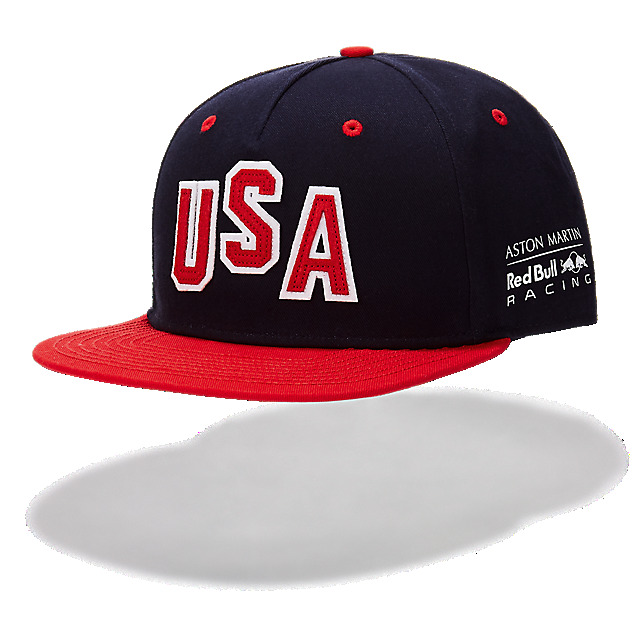 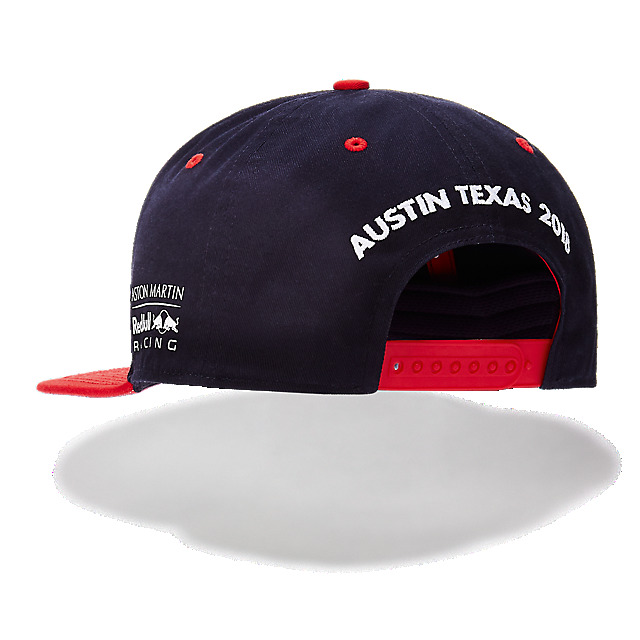 Gear up for the US GP, Texan style, with the Aston Martin Red Bull Racing US GP flatcap. 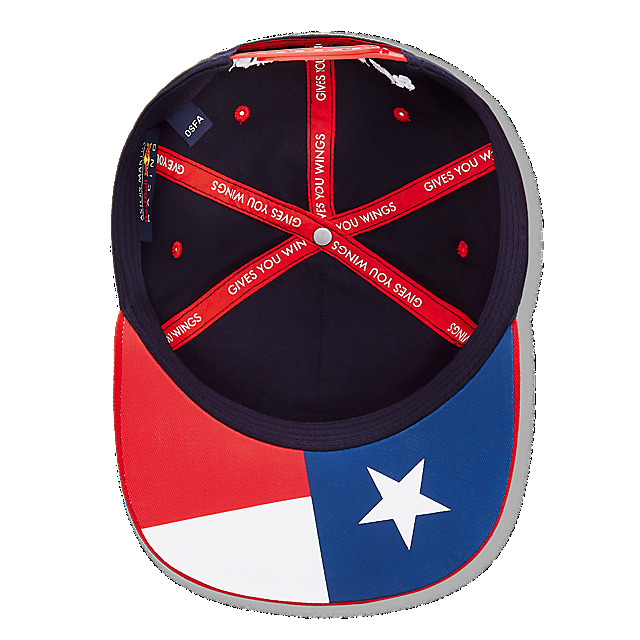 This special edition cap has big "USA" 3D embroidery on the front crown in red and white, offset by a flat red visor with a flag print on the underside. 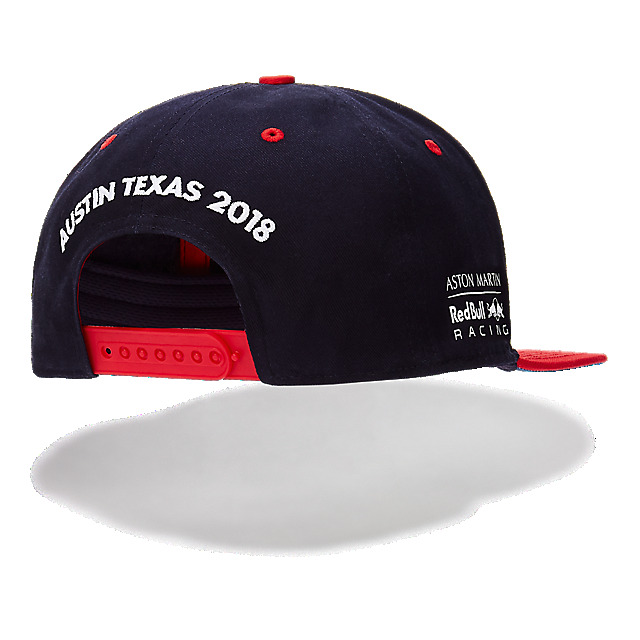 An Aston Martin Red Bull Racing logo on the side and "Austin Texas 2018" embroidery on the back complete the look, while an adjustable snapback in red delivers the perfect fit.